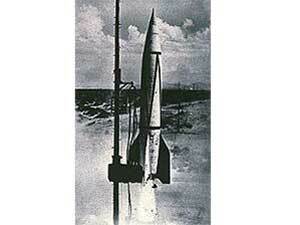 Launch of a V-2 Rocket from White Sands, NM. 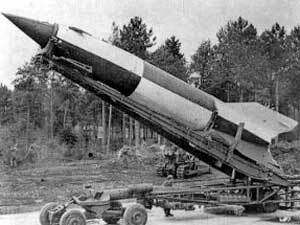 Development of the Saturn rocket began with studies of the V-2. The Saturn rocket series took Apollo astronauts to the moon.